Tough Decision for DUI Driver: Alligator Teeth or Handcuffs? Drivers arrested for DUI in Los Angeles have usually demonstrated that they don’t make good decisions. Once you’ve made a poor choice, it’s surprisingly easy to make a tough situation worse – often, far worse! Case in point: Richard Lange faced a decision recently in Montgomery County, Florida. 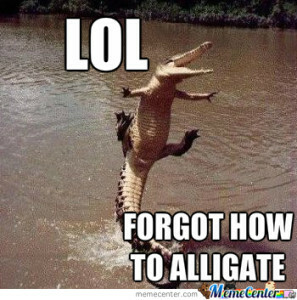 Should he continue to flee from police and risk getting bitten by alligators? Or should he remain on safe ground and wait for rescue (and arrest on charges of DUI, among other things)? According to The Courier of Montgomery County, Lange hit several cars on I-45 and left the scene of those accidents when deputies spotted the front end damage to his vehicle and saw that he was riding on only three wheels. But Lange wasn’t ready to surrender. When police pulled him over, he ran and jumped into a nearby lake to avoid capture. 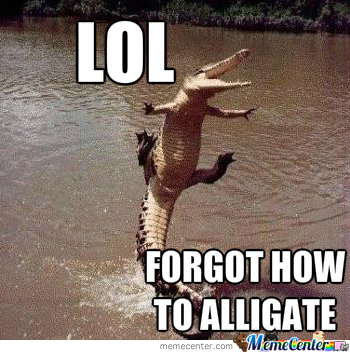 Trouble was, the lake was full of alligators. Lange realized his mistake and swam to the island in the center of the water, where he stayed for four hours until police got a boat to rescue him. He still tried to appear innocent and reportedly asked the officers if it was a crime to go swimming. Lange, who only recently got out of jail, faces charges of DUI, failing to stop and render aid at the accident scene, and evading arrest. If a court finds someone guilty of driving under the influence in California, following the guidelines outlined in Vehicle Code 23152, a judge can impose diverse penalties that range from probation to several months in jail. He or she can also assess fines and can require attendance at classes on alcohol abuse.